When I was in college, my friend Matt and I would regularly spend an evening working our way through an entire pint of Haagen Dazs mint chip ice cream. That and a movie was our idea of a pretty great night in. My ice cream consumption is significantly less these days, but my love of all things mint chip continues. 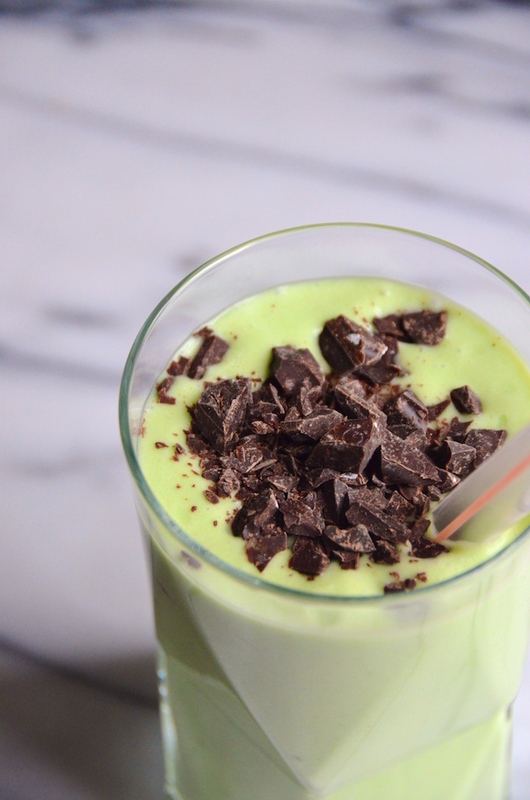 That was the inspiration behind this Low Carb Mint Chip Protein Shake. I've seen versions of it around for a while (especially earlier this month around St. Patrick's Day), and have been meaning to try my hand at it. My version is rich with a mix of avocado (yes, really!) and heavy cream, though the primary base is non-dairy milk. I use an unsweetened coconut-almond milk, but whatever your favorite is will work well here, too. A few drops of peppermint oil add that unmistakable mint flavor and when all whipped together the result is super creamy and not at all unlike a mint chip milkshake. You also get to play around with the chocolate. I think a chunk from a super dark chocolate bar (at least 85%) chopped up into the shake gives it the best flavor, but dark raw cocoa nibs would be amazing, too. The avocado gives it a very light green color, but I added a drop of green food coloring just for fun (this is totally optional, obviously). If you'd like, you can even puree in some spinach for a natural color. Again, this one is totally up to you. One thing I definitely recommend is serving this one very cold. It'll taste best like this. The recipe below makes 1 big and very filling shake that is more than enough as a meal replacement, but which can also be split in half for a smaller snack or enjoyed as a dessert. 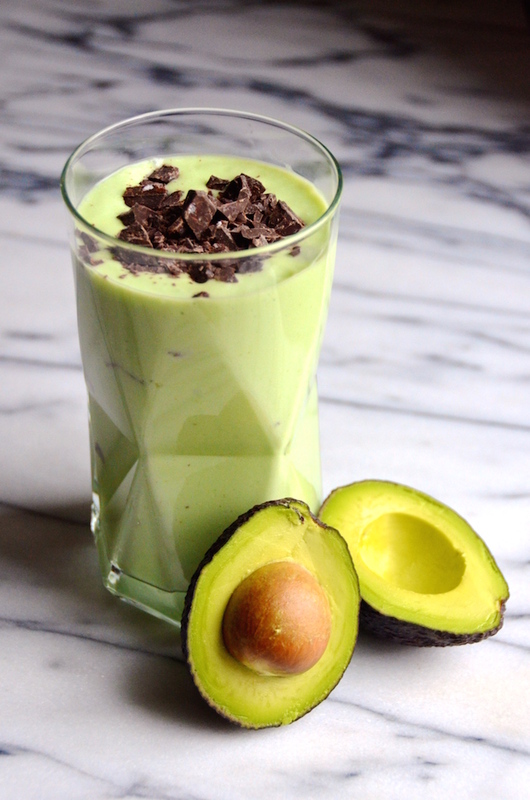 Combine the avocado, whey protein, dairy-free milk, heavy cream ice, salt, and peppermint in a blender, and puree until very smooth. Stir in stevia a bit at a time until you find your desired sweetness level. Pour into a tall glass and top with chopped chocolate. Serve with a big straw and enjoy immediately. Note: This recipe will average about 10g net carbs, depending on the kind of protein, dairy-free milk, sweetener and chocolate you use. Note that it’s very rich and can serve as a meal replacement OR can be split in half as a snack or dessert.